and the following fermentation products (FP) deliver up to 29 enzymes: Liq. Aspergillus Niger FP, Liq. Aspergillus Oryzae FP, Liq. Bacillus Subtillis FP, Liq. Bacillus Lichenformis FP, Liq. Bacillus Lentus FP, Liq. Bacillus Lactobacillus Acidophillus FP, Liq. Befidobacterium Bifidum FP, Liq. Bifidobacterium Longum FP, Liq. Bifidobacterium Thermophilum FP, Liq. Lactobacillus Fermentum FP, Liq. Lactobacillus Lactis FP, Liq. Bacillus Coagulate FP, Liq. Lactobacillus Casei FP, Liq. Lactobacillus Curvatus FP, Liq. Lactobacillus Bravis FP, Liq. Entercococcus Faecium FP. 900 to 1500 lbs. Feed 4-8 ounces for 30 days then 2 to 4 ounces (1-2 scoops) per head per day. There is a general load up on the label; however, most people contact us and get a load up specific to their horse’s needs. 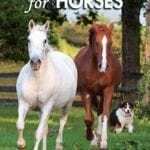 A load up recommendation is given based upon the current condition of your horse. For instance, a horse that is in critical condition would require a load up much higher than one that appears to be in general overall good health. Below are some general guidelines. The first figure is number of scoops/day and the second figure is number of days on that amount. REMEMBER! SPLIT THE LOAD UP AMOUNT, FEEDING HALF IN THE AM AND HALF IN THE PM. Put a little moisture in the mix so that MBC sticks to the feed i.e. water, oil, etc. CAUTION: Do not feed to sheep. Livestock fed a phosphorus-deficient ration may over-consume minerals when they are first offered. During the first week, limit the amount of mineral to the minimum amount allowed in the feeding directions daily and prevent individual animals from monopolizing access to the feeder if fed free choice. The body functions best when vitamins, minerals, amino acids and enzymes are available in the right form and at optimum levels. Most products provide sufficient levels, but rarely the proper form. Our unique formula is based on both, placing the importance on the form. For instance, most products contain minerals in the carbonate form. Minerals in the carbonate form are absorbed at 8%, leaving 92% of it unusable. The chelated form is only slightly better with a 35% assimilation rate. This is where we stand out from the rest. In the MBC use a citrate form of calcium that is assimilated at 92%. The rest of the minerals have an amino acid attached to the chelate increasing them from 35% to approximately 85% assimilation rate. The effect upon the entire body and mind is substantial. The mind of a horse is rarely addressed in relationship to proper nutrition. 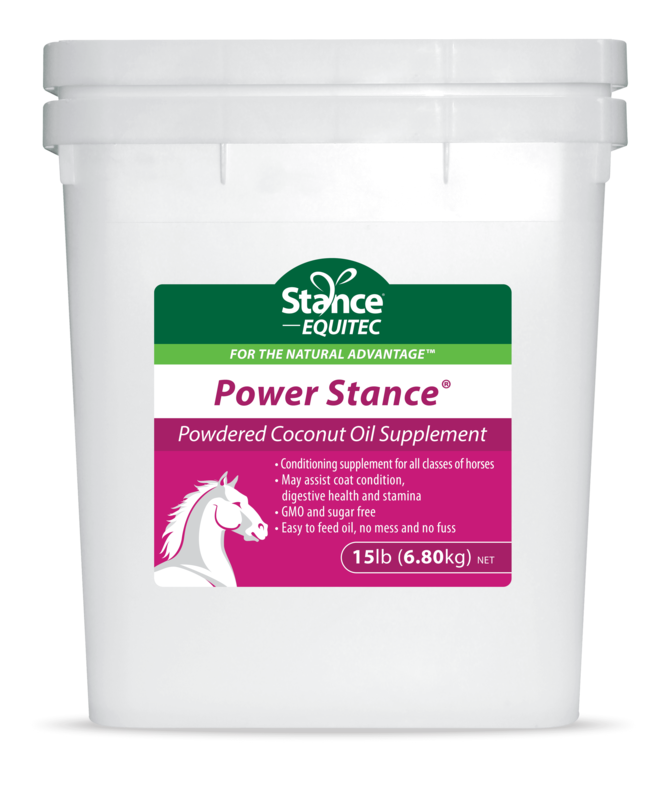 When proper nutrients are available the mind becomes unobstructed and clear so the horse can now process outside stimuli properly. There is also a calming effect upon the mind. The organs when functioning correctly affect the muscles, ligaments and tendons, bone, tissue, fat, and even more subtle aspects of the physiology of the horse. For example, muscle, when out of balance, is either underdeveloped or overdeveloped. Underdeveloped muscle creates stamina problems and lack of proper strength to perform. Overdeveloped muscle taxes the system and restricts proper fluid movement. Ligament and tendon elasticity is only possible when the horse is in a balanced state. Movement again is restricted when the integrity of these has been compromised resulting in bowed tendons, torn ligaments, etc. Bones will also become weak showing hairline fractures, breaks, chips, splints and pocketing due to lack of nutrients such as calcium, magnesium, phosphorus and vitamin D3. Our formula features several characteristics that are extremely beneficial to your animal’s health. While most ignore the importance of enzymes, we know of no other product that includes our distinctive blend of key enzymes, which are vital in boosting feed efficiency and mineral utilization. 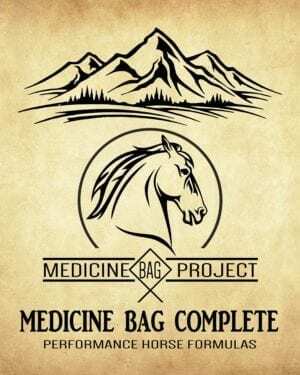 Medicine Bag Complete contains a proprietary yeast blend, responsible for increased palatability and digestibility; providing additional vitamins, minerals and amino acids; and offering digestive and cellular enzymes. Our product offers a balance of critical primary minerals in the proper form (necessary for optimum absorption) and level. Calcium strengthens the skeletal system, controls muscle contraction, helps transmit nerve impulses, and influences metabolism. Magnesium is necessary for the assimilation of calcium and impacts muscle relaxation. Zinc is the most important nutrient for the immune system. Phosphorus is essential for teeth and bones, controls pH, and is involved in energy conversion. Copper aids in production of connective tissue and is essential to the cardiovascular system. Manganese aids in skeletal growth, glucose utilization and pancreatic function. 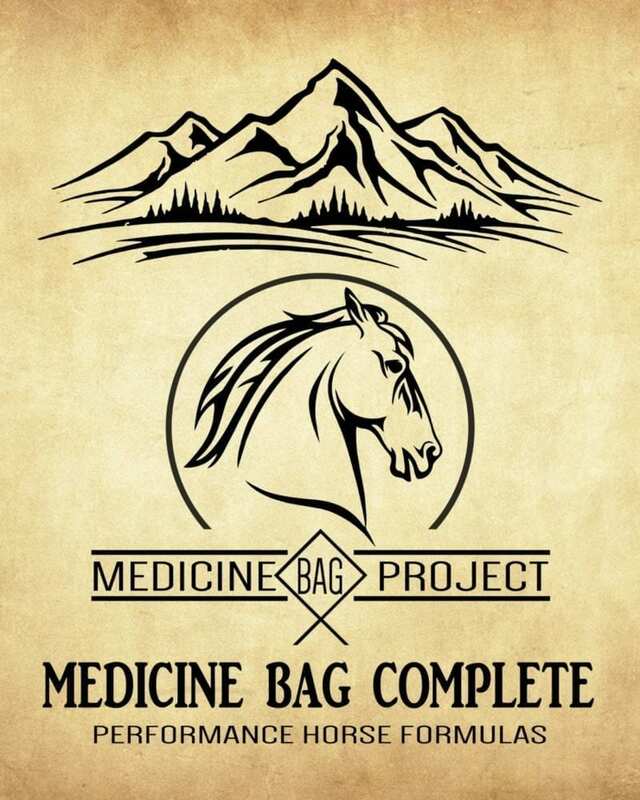 Medicine Bag Complete contains a proprietary blend of protein, lysine and vitamins A, thiamin, riboflavin, niacin, biotin, folic acid, B6, B12, D3, E and K.
We suggest adding this blend to Cool Stance and grain mixes to enhance growth, health and performance of broodmares, stallions and performance horses and for the recovery of disabled horses, the improved health of senior horses and all types of equine.